Today, I competed in the Autumn Lake Triathlon hosted by the Williamstown Badgers Triathlon Club. This was an A++ race in every way. In 20 years of competing I can say this was the best first time race. This was their inaugural event, but you wouldn’t know it. It was very well organized, the venue was beautiful, and they had amazing volunteers. I will certainly enter this race again as the Badgers have produced a race from the athlete’s point of view. Autumn Lake Tri today was fantastic. You would never know this was an inaugural event. The set up was great, the vibe was great, and the volunteers were top notch! Great job with the organization of this race!! Just wanted to thank you as it was a perfect experience for my first triathlon. This was by far the best Tri I’ve ever participated in. So much support from the volunteers. The entire set up was beautiful and amazing. Beautiful venue! Lake was awesome and the swim start was perfect! Great job! Coming back next year and bringing some friends! The entire day went so smoothly and was so well organized. Seemed like the 10th year of the event, not the first. Congratulations! Awesome inaugural event! The atmosphere was great. The volunteers were great. The event was safe, fun, and challenging. Loved it! From a participant’s perspective, a flawless event. Hard to believe it was the first one. It was obvious that careful thought and consideration was given to even the smallest details. The lake is heaven and running next to the grape vines is something out of a book. Definitely will sign up next year. 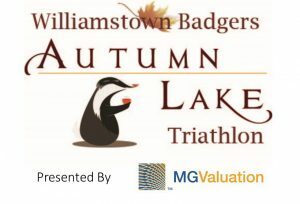 Description: The 3rd Annual Williamstown Badgers Autumn Lake Triathlon begins with a 0.4 mile swim in a clean, spring-fed lake in the heart of Williamstown. 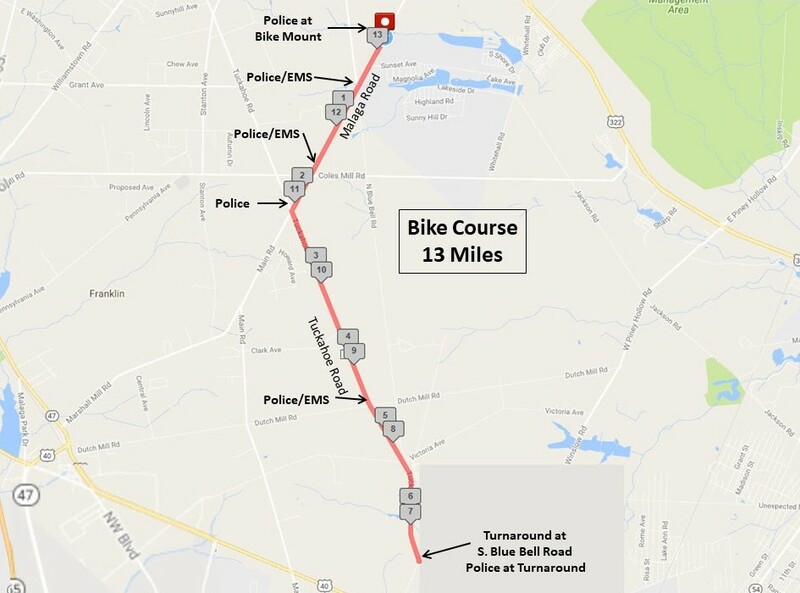 The 13 mile bike ride is flat and fast and includes roads with large bike lanes. 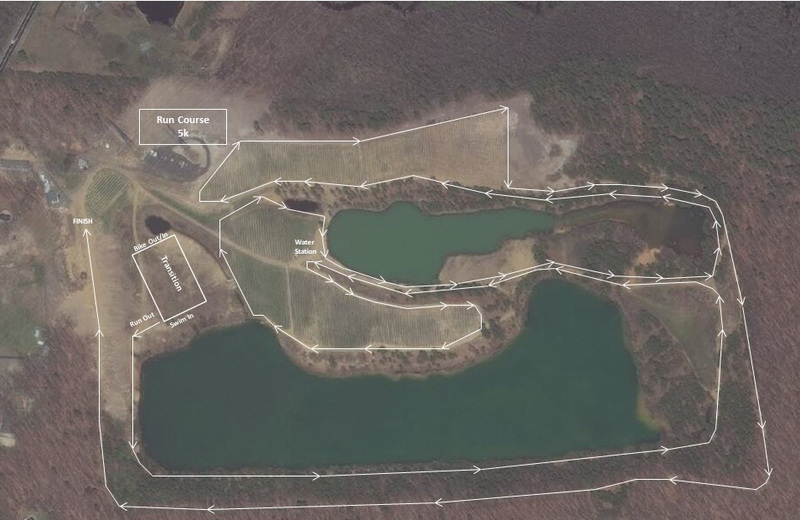 The 5K run will take place on the property of Autumn Lake Winery and will take you through trails, around two lakes and through the vineyard. Race field limited to 300 so sign up early! Online registration closes at midnight on July 31, 2019. NO drafting allowed on the bike course. Recumbent tricycles only allowed for PC Open Division with prior approval from the race director. Refreshments will be provided at the end of the race. Results will be available on site and online. 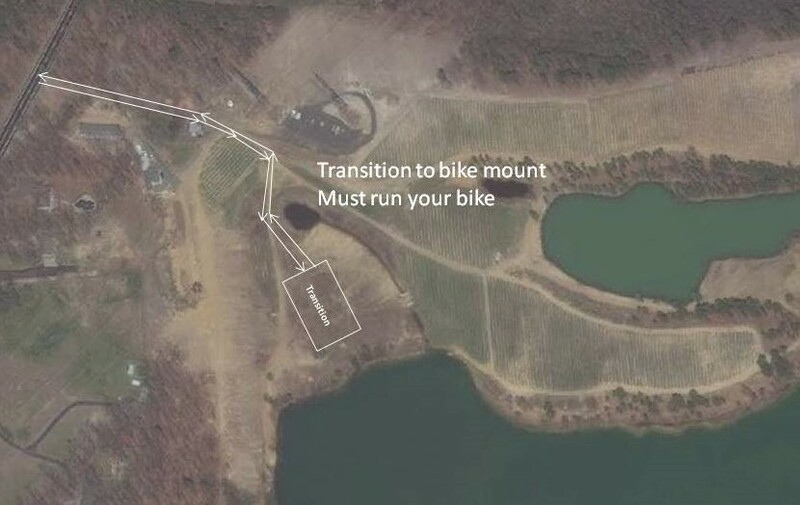 Race director has the right to alter or cancel the event for any reason. Water temperature is expected to be approximately 80 degrees F. Wetsuit rules in accordance with USAT requirements will be enforced. 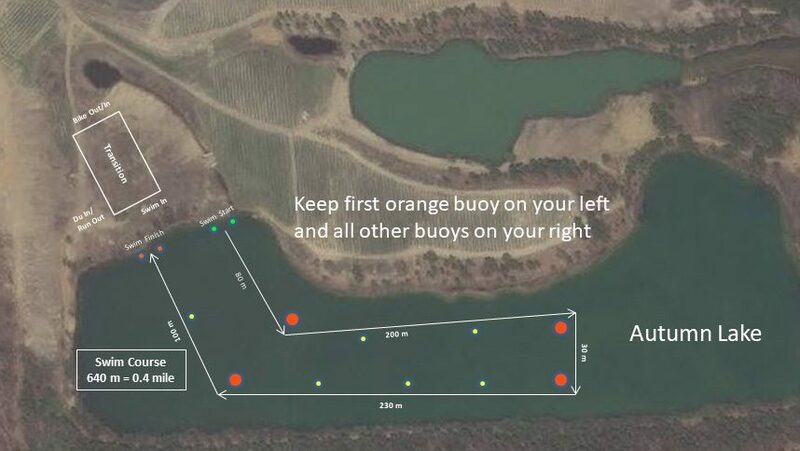 Water temperature will be taken race morning. Questions? Contact the race director at BadgersTri@gmail.com. Timing: This event will be timed by DelMoPRO. We are thrilled to have Operation Safe Haven as our charity partner for the 2019 Williamstown Badgers Autumn Lake Triathlon. Operation Safe Haven is a tiny house community for veterans located in Franklinville, New Jersey. Working with Federal, State and local agencies, Operation Safe Haven provides veterans with fully furnished 300 square foot micro-houses nestled in the quiet surroundings of a 277 acre campground with a 65 acre lake where they can focus on getting "squared away" through various programs designed to give them the tools needed to adapt and overcome the struggles of PTSD. Operation Safe Haven is a non-profit funded solely through donations and all services are provided by volunteers. Their promise is to provide these houses and services at no cost to the veterans. You can learn more about Operation Safe Haven at Operation Safe Haven. You will have the option to donate to Operation Safe Haven as you go through the registration process. Races like this cannot be successful without volunteers. We will need volunteers for packet pick-up, transition, bike course marshals, run course marshals, water station, and finish line. If you, your family or friends can volunteer, we sincerely appreciate the help! To volunteer email us at BadgersTri@gmail.com. Refund Policy: An optional registration fee reimbursement plan is offered at the time of registration. In the event you cannot participate, there will be no refunds UNLESS you have purchased the optional registration fee reimbursement plan AND are in compliance with the associated terms and conditions of the plan. Deferral Policy: Deferrals will not be allowed for any reason. Athletes may transfer from one race type to another, i.e. from Individual Triathlon to Individual Aqua Bike, etc. All race type transfer requests must be completed in the online registration system prior to 14 days before the race date. If an athlete is transferring from a higher priced race type to a lower priced race type, the athlete will not be refunded the difference. If an athlete is transferring from a lower priced race type to a higher priced race type, the athlete will be required to pay the difference plus a processing fee. Once a transfer of race type has been completed, the option to transfer is no longer available. Questions about transfers can be sent to BadgersTri@gmail.com. There will be a $25 transfer fee. All athlete transfer requests must be received via email prior to 14 days before the race date. If the athlete transfer request includes a change in the race type, i.e. transfer from an athlete registered for individual triathlon to another athlete for individual aqua bike, the conditions of the Transfer of Race Type policy also apply. If a one-day USAT license was purchased along with the original entry by the original athlete, it cannot be transferred to the new athlete. 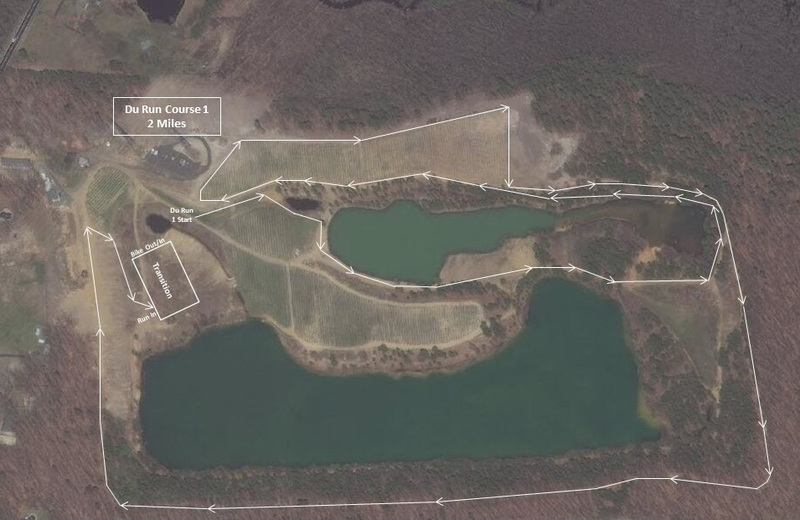 The new athlete will need to have an annual USAT membership or purchase their own one-day license AND agree to the USAT waiver and other waivers in order to participate. Once an athlete transfer has been completed, the option to transfer is no longer available. To request an athlete transfer, email BadgersTri@gmail.com.